The RXR Audio Stand is a high performance design that eliminates noise, revealing a new level of musical performance. The frame is manufactured from billet machined aircraft aluminum, composite wood, and a new proprietary high performance polymer damping layer inside the frame. This innovative, cost effective design concept produces configuration flexibility and true HRS performance at a lower price. 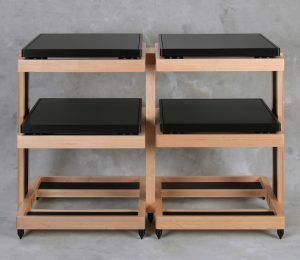 The highly acclaimed HRS Isolation Bases load direct into the RXR frame as the shelf system. 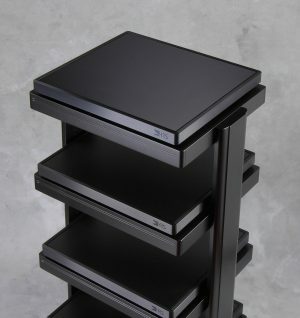 The RXR frame can also be ordered with the HRS R-Shelf for locations where you want a high quality shelf, but do not desire the full performance of the HRS Isolation Bases. 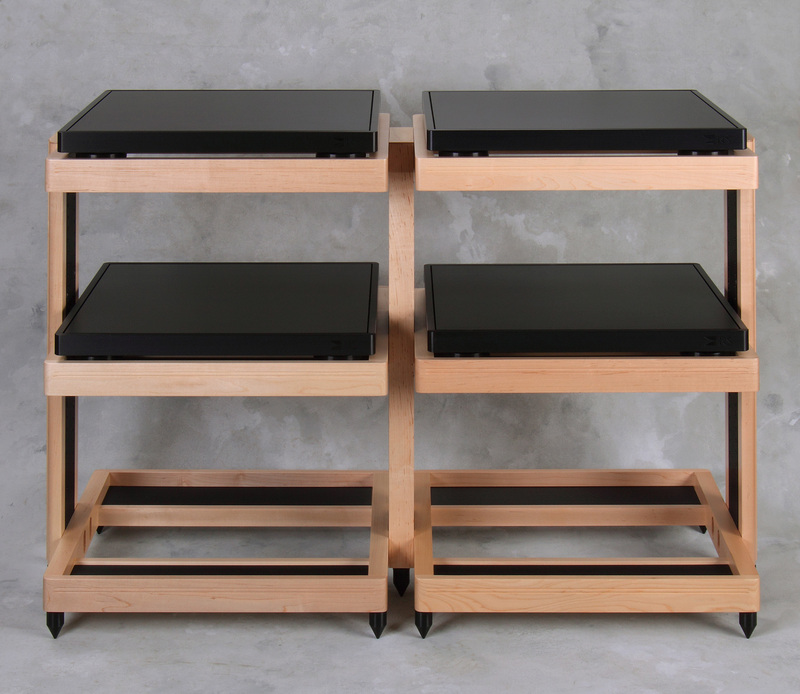 The R-Shelf is manufactured from a custom built non-resonant structural material and custom HRS polymer elements that interface with the frame.